Planning a vacation is one of the joys in the life of a person and planning a trip with the family is a lot of fun. Usually, families tend to plan one or two vacations in a year either domestically or to different areas of the world. Family vacations generally run on a budget and families usually keep some money aside every year for a family vacation. Family vacations are a great way to see the world and also spend time together. Family vacations are usually well planned and as families become used to traveling they learn new tips from every trip they travel. The following are some of the tips for planning the perfect family trip. 1) The first step of planning a family vacation is to analyze the budget. The budget determines where to go, which transportation to take and which hotels to stay at and how much money to spend on the vacation. 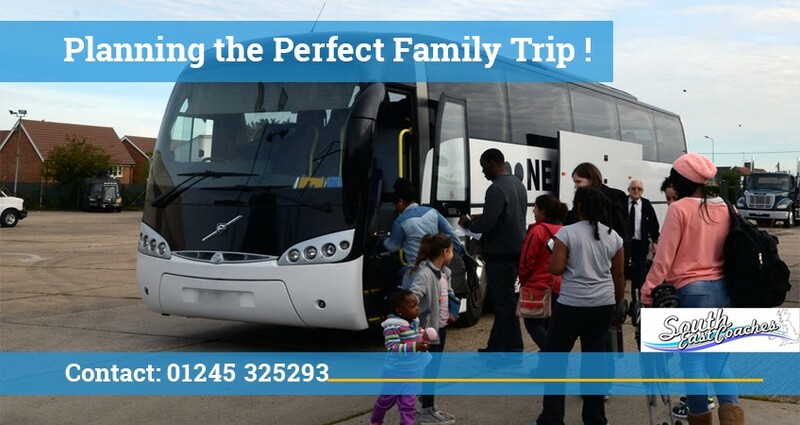 If it is a domestic vacation, families have to make the choice of whether to go for air travel or a coach hire. 2) A major aspect of planning a vacation is to decide exactly where to go and what type of vacation to go for. There are different types of vacations to choose from. Countryside vacations, vacations to major cities, family vacations that include trips to the amusement park or trips to visit family or friends in another country. 3)Deciding on where to go for a vacation should be a family decision. A family should sit together and decide on a destination that is favorable for everyone. Often times, the head of the family, usually the father or the mother choose the vacation and children get bored on such vacations. Getting the family members involved in planning the vacation will make the planning process take longer but the family vacation will be more enjoyable for everybody if there is democracy in the planning process. 4)A great tip for planning a vacation is planning the time spent on the vacation. Once the family reaches the destination by air travel, railway or a luxury coach hire it is important to plan all the days of the vacation carefully. While planning the itinerary it is important to cover all the top tourist spots and destinations to visit and also keep plenty of time free to relax and enjoy the vacation. Hurried vacations with a million things to do within a short period are not a relaxing vacation. 5)A great tip for planning a family vacation is to go to a really fun place where children will enjoy themselves. Coach tours from Essex or other parts of the country have great trips planned within the country or on the continent that include top cities, beach resorts or even great countryside vacations or a trip to a hill station. 6)There are many fun activities for children at vacation destinations and choosing the right destination where kids can have a great time is important. Zip lining in a jungle, hiking on a famous trail, beach vacation activities like snorkeling, surfing, and even going to a zoo or a museum is a lot of fun for children. 7)There are many family friendly hotels for families to choose from wherever they go for a vacation. These hotels have private family suites where families get multiple rooms where they can live together. 8)A major tip for these kinds of vacations is to be safe while traveling with family. Children have to be warned from wandering off or talking to strangers. A vacation has to be planned at a safe destination which is friendly towards children. There are many types of places which are more adult friendly and couple friendly rather than family type destinations. Avoiding such places makes sense. 9)Knowing all the emergency details of the vacation destination is advisable. Also going to very crowded areas especially in developing countries with children is not the best idea. A private coach hire to London and spending time with children in cities like London makes sense but kids like resorts and countryside vacations more than just going to a fast pace city. 10)Planning small details in advance is a good choice. So many things can go wrong while traveling especially traveling with kids and planning every minute detail is always a good idea. Another great tip is to avoid peak times to travel. There are some periods throughout the year especially during major holidays when vacation destinations are crowded and the overall cost of travel is high. It is best to avoid such peak vacation seasons to save money and have a more relaxed family vacation. There are many things to consider as mentioned above while planning a family trip. These tips will help people plan better family vacations and have a great time on their vacations.